"My son Crota came to me, saying / This nameless thing moves sideways / I chased her, and she fled / Kill her now / So I raised her to my court / I named her Lokaar, which means Not There / Thus my son was rebuked against simplicity." 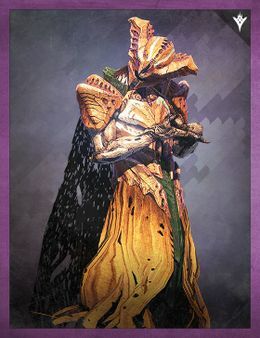 Lokaar is a Hive Wizard that appears as a boss in the Court of Oryx. She periodically teleports around the area to disorient Guardians and evade danger.